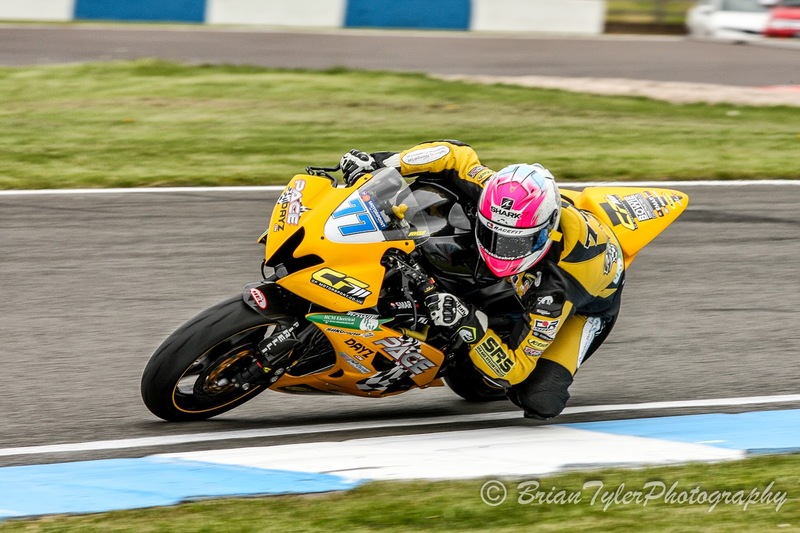 Nottingham racer Kyle Ryde had a stunning wildcard ride at Donington Park for the only UK World Supersport round, finishing on the podium aboard his Racedayz Trackdayz Yamaha. The 17 year old got a stunning start to the race from second on the grid, shooting up into third position as the 28 riders piled through Redgate corner and was in the fight for the lead with WSS championship leader Kenan Sofuoglu. Setting a new lap record on lap three of 20 it was looking as if the wildcard could be fighting for the win, however he began to slip away from the leaders at half race distance. Ryde was then locked in a battle with Lorenzo Zanetti for the final step on the podium, and on the 17th lap of 20 Ryde put in a strong move at the Foggy Esses to get back into third position. However Zanetti was able to get him back at Goddards but Ryde made the same move one lap later, on the penultimate lap and made it stick, holding Zanetti off and taking third position over the line.